We maintain and run websites for our main shotgun and rifles distributorships, Krieghoff and Lynx Rifles. As well as an Online Store with hundreds of products in stock and ready to ship. 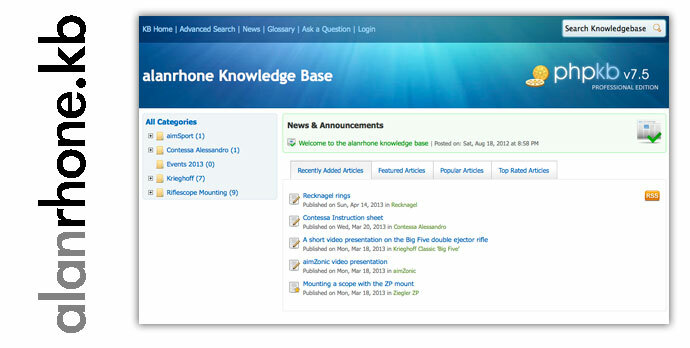 Not to mention our Knowledgebase with detailed information about our products. 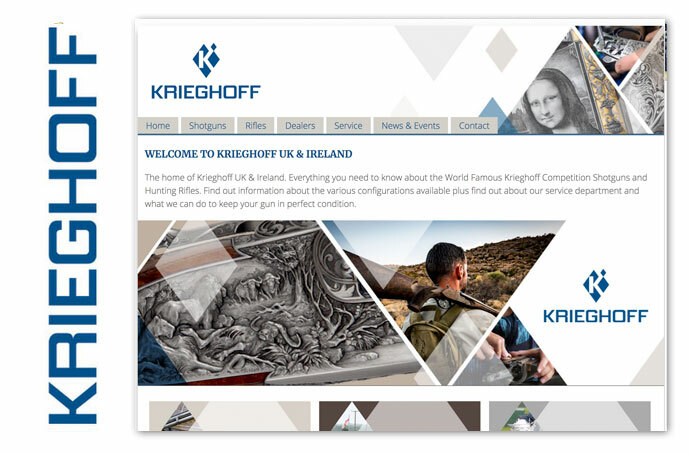 The Official Krieghoff website for UK & Ireland. The website has facts and figures of all of the Krieghoff range of shotguns and rifles, including other information such as engraving patterns, news, service details and much more. 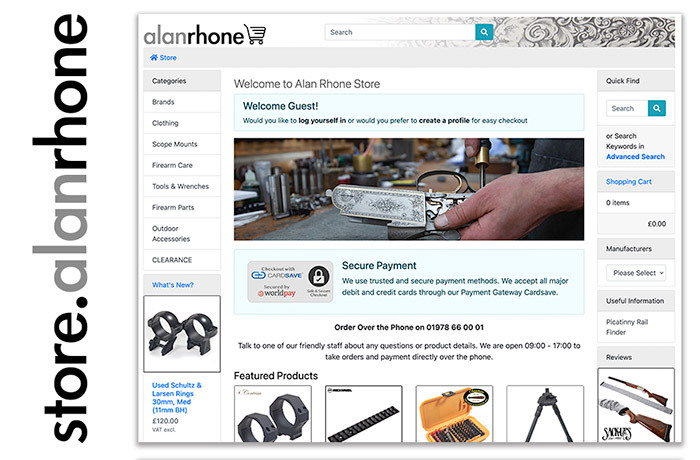 The Alan Rhone Store is our ever growing Ecommerce website containing hundreds of products including knives, torches, compasses, clothing, scope mounts, tools and much more. See the products section to browse the manufacturer’s products or visit the store website. 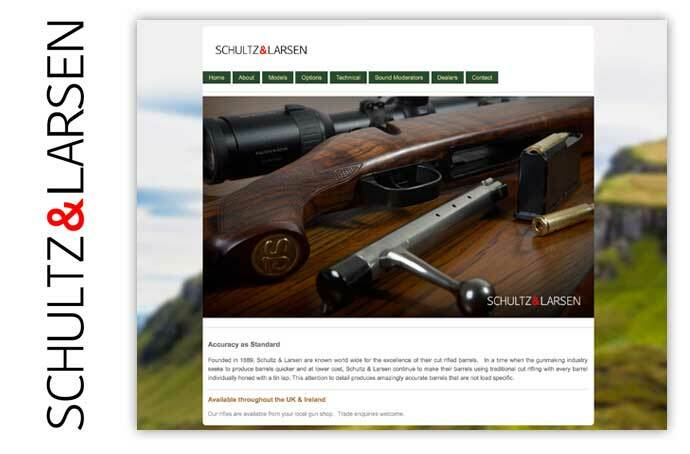 A dedicated Schultz & Larsen rifles UK & Ireland website. All of the information regarding the amazingly accurate Schultz & Larsen Rifles, Sound Moderators and Scope Mounts in one place. 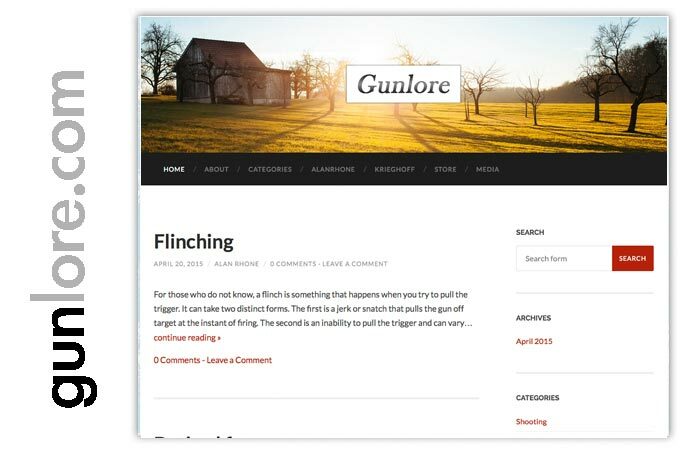 The Gunlore website is a blog site with useful infortmation and tips for shooting and shooters. Updated with key information, the website allows users to subscribe to new posts when they're published. Our Knowledgebase website is full of useful information about shooting, technical details and much more. Updated with more content added every week. Our websites are constantly being updated, whether it be new products available to purchase from our ecommerce website, or a new event added to our Krieghoff website, make sure you keep upto date with the new content and news from our websites.